Status: In progress - 70% of energy demand for electricity and heating met from renewable sources. To date, wood biomass provides 90% of the entire heating requirements of the town. About 50% of the electricity demand of the town is covered by renewables, mainly hydro (39%), co-generation from wood biomass plant (10%) and solar PV (1%). RES: Hydropower, cogeneration from biomass and solar PV. 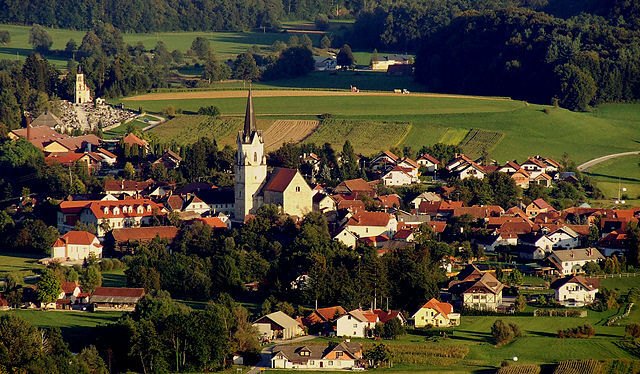 Implementation: Since the Municipality of Šentrupert set its 100% target in 2007, it has been investing extensively on its energy supply. By 2009, the Council had adopted a Local Energy Concept which outlined energy efficiency measures, new energy solutions and how to increase general consumer awareness on energy issues. According to a corresponding Action Plan, an Energy Manager would be appointed to keep track of the energy supply and consumption levels (“energy accounting”) and to promote the use of renewable energy sources (RES) and energy efficiency measures (EE). The data gathered by the energy manager was particularly useful for the new biomass heating systems. First activities of the municipality was to improve the heating system of the school buildings of Šentrupert Elementary School as well as of the gym and new kindergarten. A new biomass boiler was installed in the school basement. In August 2010, the construction of the first energy efficient wooden building in Slovenia was completed. At the end of August 2014, a SEAP – Sustainable Energy Action Plan was confirmed by the council, with the aim to reduce CO2 emissions by 20 percent by 2020. The municipality was rewarded with the award En.občina 2012 for the most energy efficient municipality in 2012. In 2014, it won the award En.občina 2014 in the category of small municipalities and also became the winner among most energy efficient municipalities in 2014. In 2014, wood chip system was installed in the local prison complex for heating, and recently it was used to simultaneously produce electricity and heat. By sourcing wood chips from local producers of wooden boxes during the spring, savings in biomass purchases have amounted to 200,000 € per year. The council also constructed a greenhouse to produce 3000 tons of tomatoes per year on an area of 4.5–5 hectare to meet the needs for food self-sufficiency, especially with vegetables. The heat requirements for the greenhouse is supplied by a public company Energetic Šentrupert, which is providing 50 new jobs.